Keeping your carpets free of stains and dirt is an impossible task, especially if you have kids and pets. 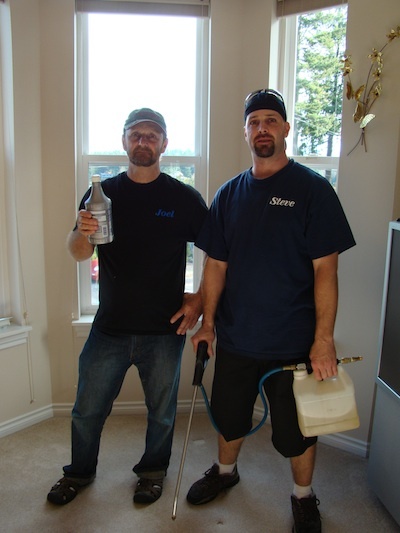 You will be happy to know that you can look into hiring Guaranteed Cleaning for all your carpet cleaning needs in Enumclaw; we will come in and make your carpets look new again. You don’t have to worry about harmful chemicals either, because our carpet cleaners and steam cleaner use only environmentally friendly products in Enumclaw. It doesn’t matter where the carpets are that need cleaning. 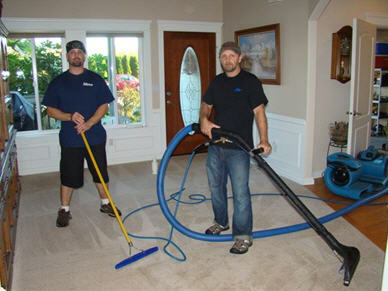 Our carpet cleaners in Enumclaw have no problem taking on the huge task of carpet cleaning your business carpets. Our carpet cleaners will also be able to handle a job at your home that involves getting in and around tight spaces. We offer other services as well. We are a carpet cleaning service in the Enumclaw area that specializes in spot and stain removal. It doesn’t matter how big or small the stain is. Our carpet cleaners will be able to get them out leaving your carpet looking like brand new. We can remove any stain or odor. In order to get your old carpet looking like it was just laid down by getting a steam cleaner service done. Our steam cleaner service is done with a steam cleaner truck-mounted system. This type of deep carpet cleaning gets down into the fibers of the carpet and breaks down the dirt and grime to leave you with a carpet that looks brand new. We also provide carpet repair and carpet stretching in Enumclaw. Ask for details.